As we approach winter, listeners in Europe should encounter better reception Friday at 2030-2100 UTC on 7780 kHz, and possibly some reception Monday at 0800-0830 UTC on 7730 or 5850 kHz. In most of North America, daylight savings time ends 4 November. Shortwave Radiogram stays at its UTC broadcast times, so this weekend the Sunday transmission will be at 6:30 pm EST and the Monday transmission at the delightful hour of 3:00 am EST. When the corrections are made, click the Save button to save the image as a png file in the folder \fldigi.files\images\ -- the same folder where your decoded MFSK images are automatically saved. The original .raw file of your Thor22 image is also stored in that folder: You might want to delete it after the png image has been saved, because the .raw file can be 7 to 8 Mb in size. You can also retrieve stored .raw files for later adjustments by using this procedure. Videos of last weekend's Shortwave Radiogram are provided by Scott in Ontario (Friday 2030 UTC) and by 2010DFS in Japan and Ralf in Germany (both Saturday 1600 UTC). The audio archive is maintained by Mark in the UK. Analysis of last weekend’s Shortwave Radiogram and other programs transmitting text and images is prepared by Roger in Germany. This weekend on Shortwave Radiogram we will include another Thor22 item, this time with a gray scale (back and white) image. And the usual MFSK32 and 64, with eight MFSK64 images. Twitter: @SWRadiogram or https://twitter.com/swradiogram (visit during the weekend to see listeners' results). The Mighty KBC transmits to Europe Saturdays at 1300-1400 UTC (new time) on 9400 kHz (via Bulgaria), with the minute of MFSK at about 1330 UTC (if you are outside of Europe, listen via websdr.ewi.utwente.nl:8901/ ). And to North America Sundays at 0000-0200 UTC (Saturday 8-10 pm EDT) on 5960 kHz, via Germany. The minute of MFSK is at about 0130 UTC. Reports to Eric: themightykbc@gmail.com . See also http://www.kbcradio.eu/ and https://www.facebook.com/TheMightyKbc/. 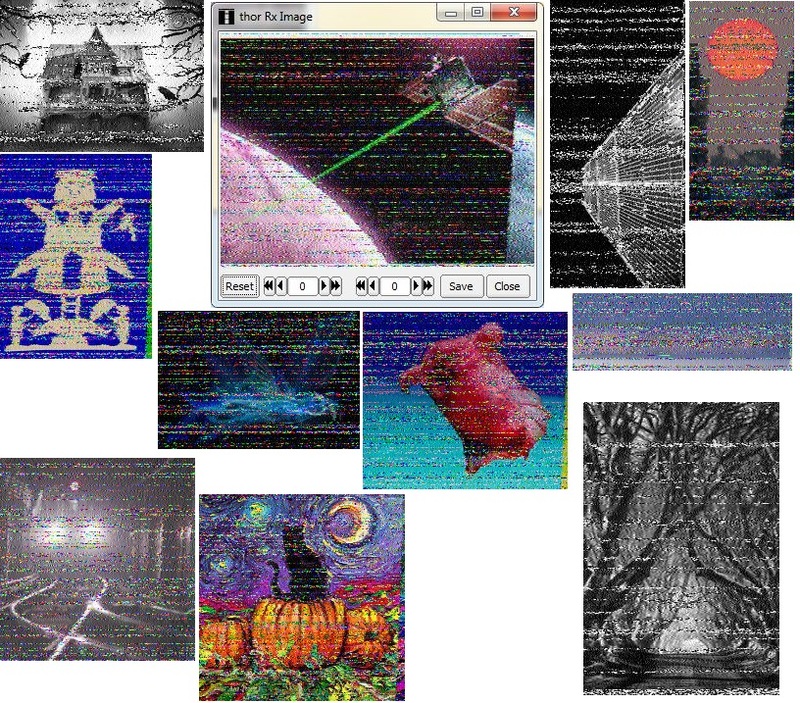 Vasiliy in the Samara region of Russia received these MFSK images during the 1600-1700 UTC broadcast last Saturday (27 October) on 9400 kHz from Bulgaria. Trans-Atlantic, or maybe trans-Pacific, or even trans-Arctic, on 9400 kHz! Bob in Ontario received these images during the 1600-1630 UTC broadcast -- plus KBC at 1530 UTC -- last Saturday on 9400 kHz from Bulgaria.